FOR A DIFFERENT KIND OF DONATION! Rhode Island PBS, the Rhode Island Blood Center, and the Rhode Island Community Food Bank are proud to partner to create this special summertime giving opportunity - GIVEfest - to enable us all to better serve the community. 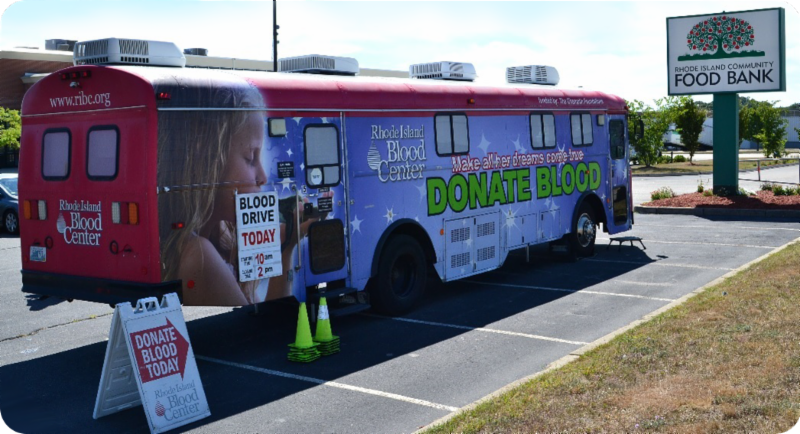 With two ways to give, please come donate a pint of blood and bring a non-perishable food item. And even if you can't give blood, your food donation is most welcome! Your non-perishable food item helps feed more than 60,000 Rhode Islanders who visit various food pantries across the state every month. Your gift of a food item will help the Food Bank reach their Summer Food Drive goal to collect 150,000 pounds of food by August 31. 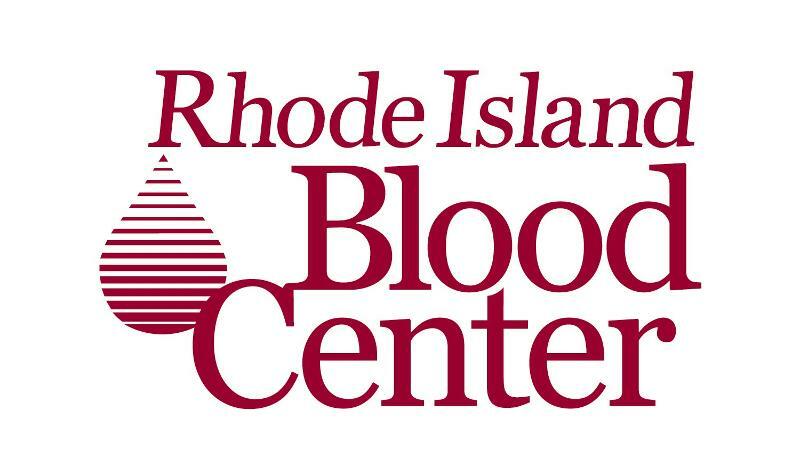 The Rhode Island Blood Center has supplied hospitals and patients in Rhode Island and nearby Massachusetts and Connecticut with lifesaving blood components for more than three decades. Over the past 37 years, much has changed in blood banking and transfusion medicine, but the fundamental concept of volunteer blood donors providing the gift of life for patients in need is as important as ever. The need does become more acute during the summer when regular donors - including college students - are away on vacation. Food bank staff will offer tours of the facility - see the great stories behind the scenes. 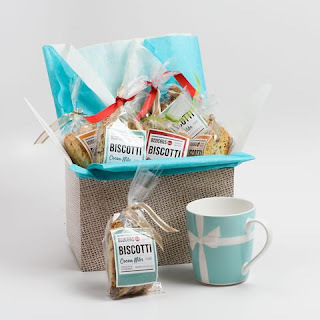 Rhode Island PBS will also have a token of thanks for each donor. As an added thank you, the first 20 donors of blood or food (or both) receive a complimentary bag of Bellicchi's Best Biscotti. And since GIVEfest spans the lunch hour, look for bright blue Noble Knots food truck nearby, selling their signature gourmet sandwiches served on artisan pretzel rolls. In the wake of the celebration of Queen Elizabeth II's 60 years as British monarch, Trevor McDonald’s Queen and Country offers viewers a look at the customs surrounding the monarchy – from the Changing of the Guard at Buckingham Palace to the queen’s royal visits – and a glimpse of the greatest historic royal places. 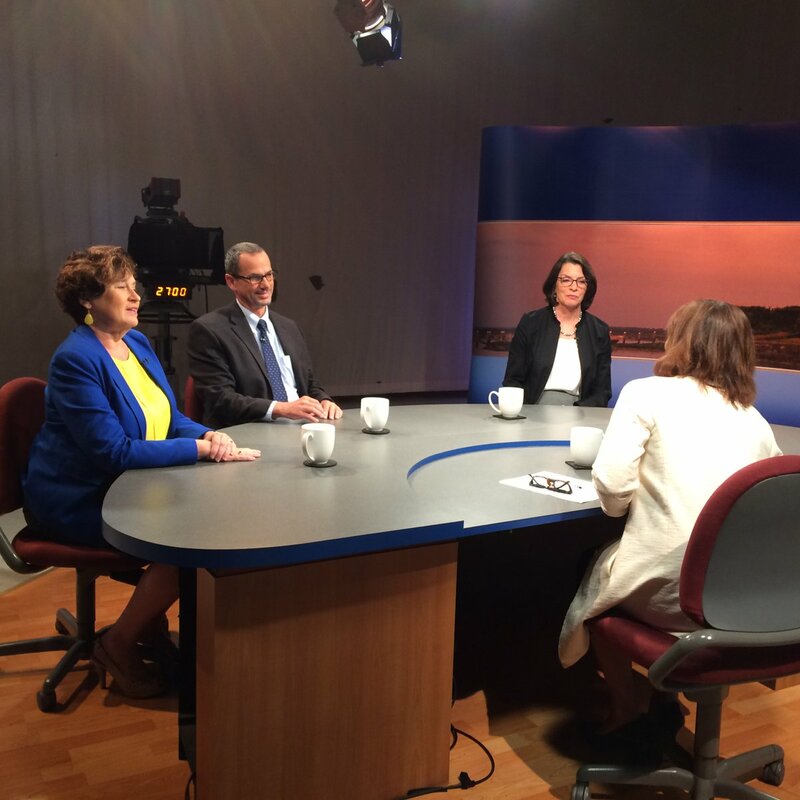 WSBE Learn encores this four-part series from 2012 on Tuesdays at 10 p.m. beginning August 2. London is, indisputable, the capital of Britain’s royal life. Here, the young Princess Elizabeth grew up before World War II. Here she and her sister, Margaret, mingled, incognito, with the joyous crowds on VE Day. It is still the center of a working monarchy. 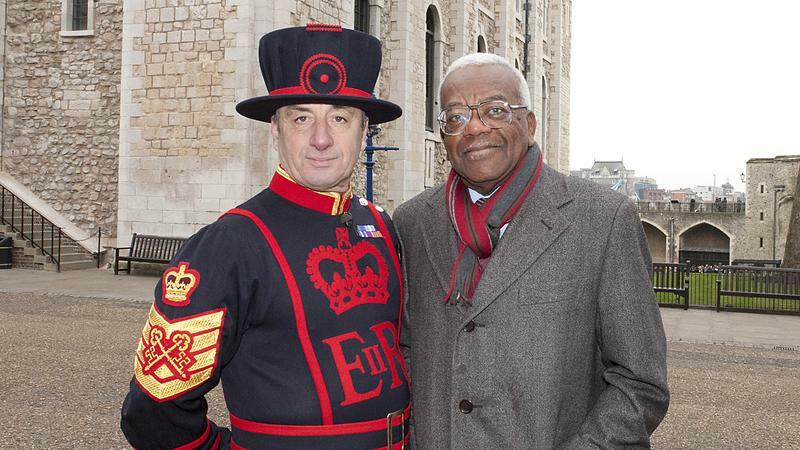 Join Trevor McDonald as he reports on the tradition of Changing the Guard at Buckingham Palace and visits Horseguards to meet the man who is in charge of the troops who guard the queen. The Queen’s year is driven by her diary – and has been since her accession in 1952. See her in Scotland at the Braemar Gathering (which she has attended 70 times) and follow her on a visit to Liverpool – the sort of regional trip that happens every week but attracts little publicity. View unique 3D footage of the young queen, shot in 1953 and held by the British Film Institute. The Queen has some surprising possessions. Among them are Westminster Abbey and the Chapels Royal. These are “peculiars of the crown” – as are the Channel Islands, where they still call Her Majesty the Duke of Normandy to remind outsiders that they were with William the Conqueror on the winning side at the Battle of Hastings. The Queen also owns the Tower of London – part of a collection of Historic Royal Palaces. Not forgetting the Royal Collection – to which she has added nearly 150 portraits over the past six decades – follow the process used to create one of the most unusual. The Queen is head of the 16 realms that make up the Commonwealth. In Perth, Western Australia, Queen Elizabeth is on tour before opening the Heads of Government Meeting, which is especially important for the monarchy. The Commonwealth countries are being asked to change the rules of succession so that a first-born girl may inherit the crown. If it’s approved, it will be the single biggest change to the monarchy for centuries. At the age of 85, the queen remains undaunted by long-haul travel – as this program shows. o What is the status of the program? o Has it been successful? o What else needs to be done? o What else can be done? In partnership with Flickers' Rhode Island International Film Festival (RIIFF) and the Rhode Island Film and Television Office, Rhode Island PBS proudly presents doubleFEATURE, an exceptional opportunity for our viewers to see artistic, original, award-winning short films from a collection of animation, foreign language, documentary, or fiction films each week. 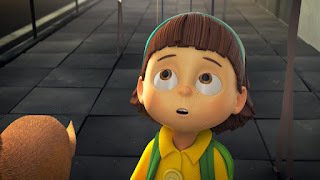 Seven-year-old Mia tries to liberate her overworked mother from the clutches of an overpopulated metropolis. In her quest, she unlocks the hidden secrets that make the world turn. Many residents of Acri, a hill town in Calabria, have sought refuge, opportunity, or just a new perspective in the seaside town of Westerly, RI. Now an influx of desperate African migrants has given Acri a way to pay forward its debts to the world of immigration. 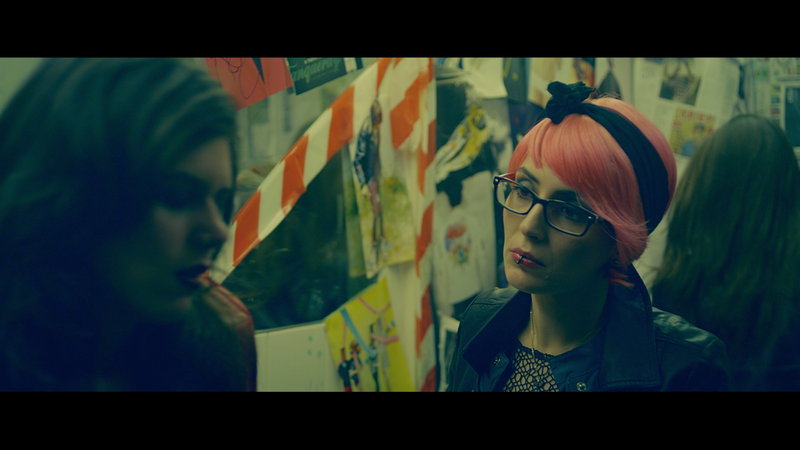 Nasreen is an immigrant office cleaner, working in London, who dreams of being a screen actor. Lacking the contacts or support to realize her ambitions, she creates extravagant characters for herself to play - zombie hunters, punk rockers, high-powered bankers - and imagines film crews are on every street corner and real people are just extras, and heads off on an action adventure with the most extraordinary results. The story of a man, his foot, and finding happiness. This short romantic comedy stars Alia Shawkat (Arrested Development), Michaela Watkins (SNL, Casual) and Avi Rothman. Even the Walls documents the unique connectedness of a public-housing development on the eve of its destruction. For more than 70 years, Yesler Terrace has been home to thousands of Seattle's low-income residents and international refugees. Conceived as the nation's first racially-integrated, public-housing development, Yesler now stands on the edge of a new social experiment: mixed-income, mixed-use housing. 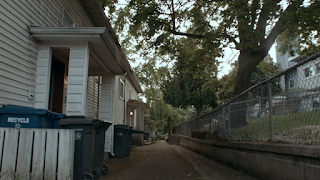 In 2014, the Seattle Housing Authority began selling off pieces of the 30-acre property to being the transition. The Secret World of Foley takes us on a journey into the little known world of Foley Artists, who bring films to life by adding sound effects in post-production. 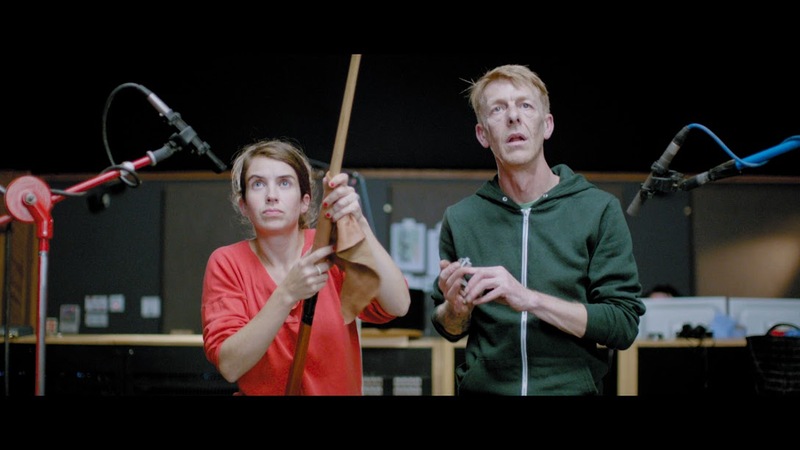 We follow a multi-award-winning two person team of Foley Artists and watch as they work together to bring to life a film about one morning in the life of a fishing village on the English coast. With their perfectly timed and precisely judged sound effects they transform the film as they interpret every sound detail, using props from their vast props store. This film shines a light on a little known film art form and is a testament to magic and wonder of cinema itself. *Jessica Sanders is an Academy Award–nominated, Sundance and Cannes Award–winning director and producer of narrative and documentary films and commercials. Jessica’s commercial career was launched when Steve Jobs handpicked her to direct Apple’s iPad launch campaign. **Saman Maydani is a filmmaker and creative educator. Her work explores oppression and freedom through the personal narrative, with special focus on the voice and representation of women and other non-dominant cultures. Sarah Kuck is a filmmaker and journalist, with nearly a decade of multimedia storytelling and editing experience. She is greatly interested in the idea of culture and place, global mobility and community. Saman and Sarah met during graduate school and were drawn together to make Even the Walls to explore ideas of home and belonging. The Newport Antiques Show marks its 10th anniversary this year! 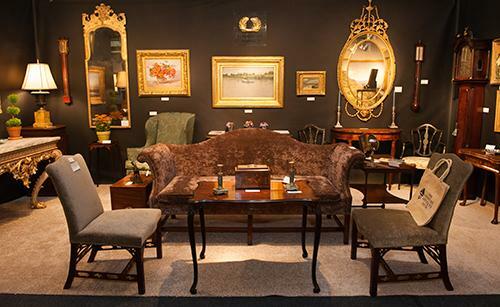 Founded in 2007, the Newport Antiques Show is one of the country's leading antiques and decorative arts shows. 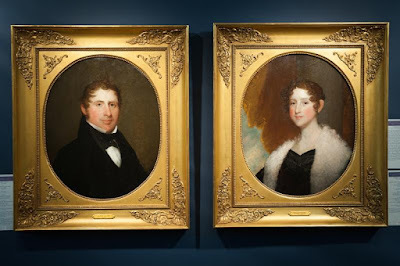 This year's show will feature exhibit vignettes entitled Curating the Future: Trends in Collecting Today, presented by the Newport Historical Society. The 2016 Newport Antiques Show takes place July 22-24 at the St. George's School Ice Rink in Middletown, RI. The show opens with the July 21st Gala Preview Party. As a special attraction this year on Sunday, July 24, the Newport Antiques Show features an antiques appraisal event called, "What's It Worth?" with specialists from Freeman's. A separate admission ticket is required for the appraisal event. For additional details about the Show, the expertise of the Freeman's specialists and to purchase gala, admission, and appraisal tickets, visit NewportAntiquesShow.com. Proceeds benefit both the Newport Historical Society and the Boys & Girls Clubs of Newport County. Rhode Island PBS is proud to be a media supporter of the 2016 Newport Antiques Show. 5 police officers died 7 wounded (as of Friday morning at 8:30). Police were mingling with protesters trying to build sense of community when shots rang out. Video of Providence officer punching and pulling woman’s hair. What do we do from a local perspective? Top police brass is not diverse in a very diverse community – does that need to change? How will this shape election? Did Clinton’s reluctance fuel email controversy?